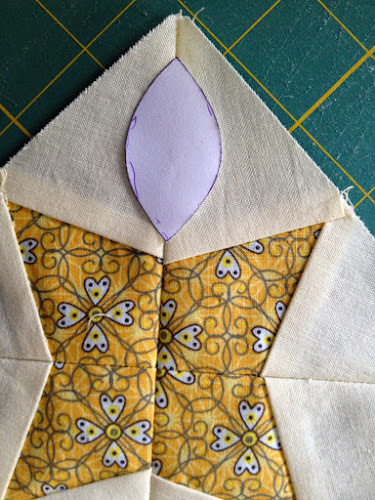 Easy block if you don’t mind doing applique. 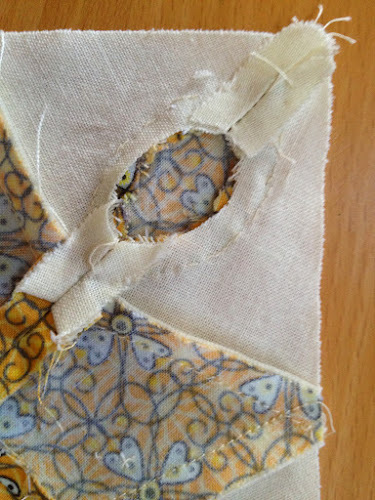 I think I’ve improved a lot since my first applique block. Freezer paper, patience and practice go a long way. 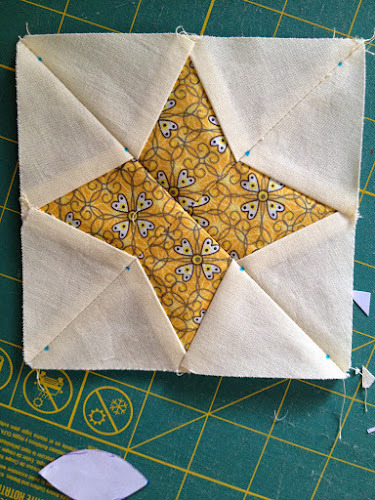 The paper pieced part of this block is really simple. 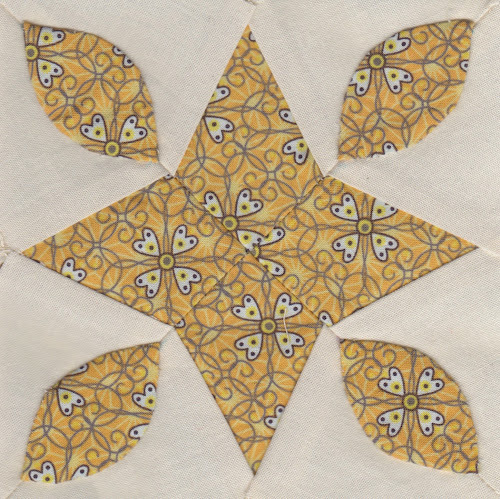 Just download the free pattern and get piecing. 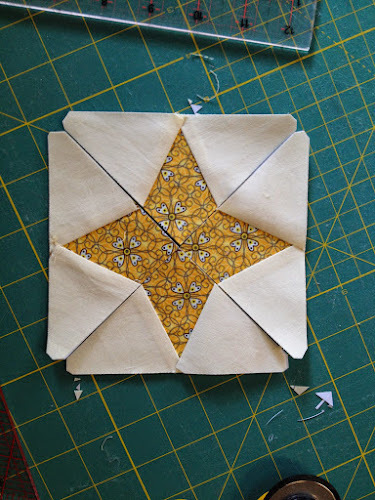 If you’ve never paper pieced before this is a very good block to give it a go. 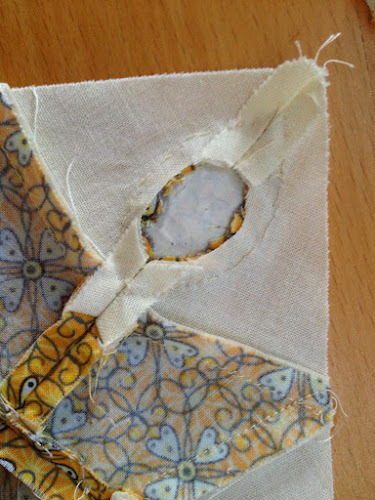 On the other hand if your applique skills aren’t great this is not the best block to start with. The melons are quite small and pointy. Now, trace the melons on freezer paper four times, press to the fabric and cut around. Prepare the melons by finger pressing around the edges well. Now mark the placement of your melons on the fabric. I used a water soluble marker. 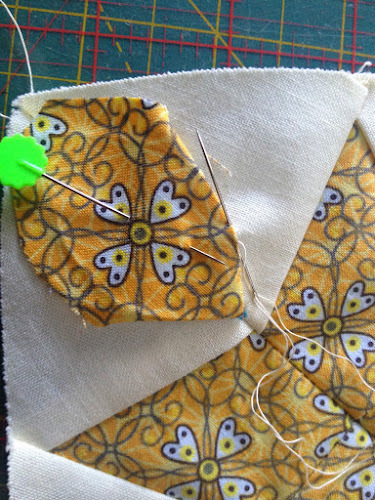 Now align the shapes well to both marks, pin and stitch. 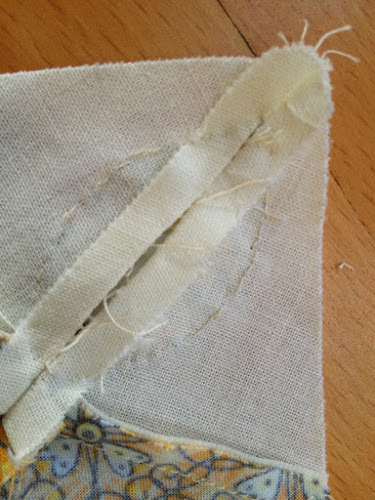 To remove the freezer paper unpick some of the seam. Susan Gatewood’s paper foundation . All patterns are free though Susan says “I only ask that you consider making a donation to the Bennington Museum, in Bennington, Vermont. 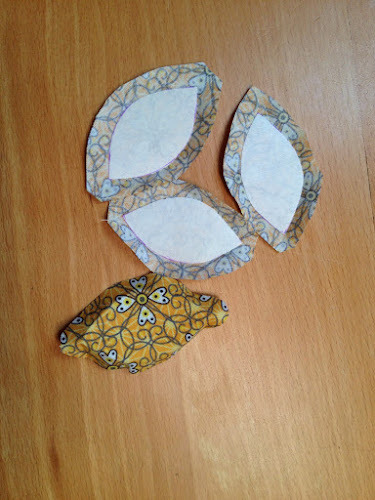 And if you do, it would make me tremendously happy if you would tell them that you have received help from me.” I totally recommend Susan’s patterns as they are very easy to use. 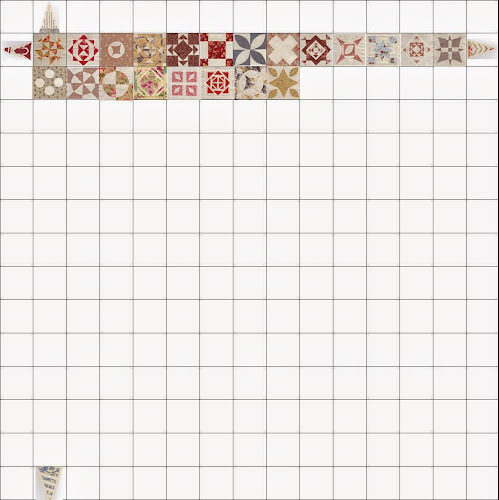 See all blocks I’ve done together in a larger size. Thank you! 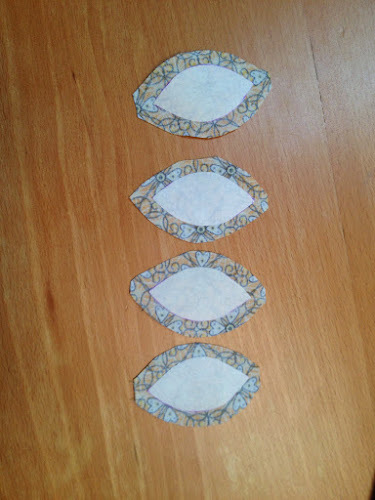 I think my applique skills are improving.